The Leadership team at New Covenant Dallas is composed of powerfully anointed, dynamic and experienced leaders. We are determined to make New Covenant Dallas a church that welcomes and embraces all people, striving to fulfill the greatest commandment to “love God and love each other.” All leaders have been ordained through the Covenant Network, which is committed to establishing churches across the globe where the “Spirit of God is being poured out on all people” (Acts 2:17). Along with an intense passion for Prayer, Tim and Kidder have a desire to see the Spirit of God poured out on all people. Tim has been teaching on Prayer and principals of the Word of God for several years, and has ministered in the DFW metroplex since the early 1980’s. Tim and Kidder have been prayer partners since the late 1980’s, and were married in 2010. Their combined ministry experience allows for close teamwork as they minister both together and individually to share the Good News of the Love of God. They are both ordained intercessors through The Covenant Network, and serve as Associate Pastors at New Covenant Dallas. 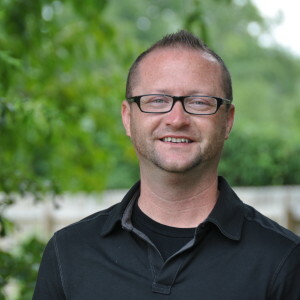 Jerime was self-raised in a FreeWill Baptist church in a small town in Oklahoma. In 1999, while attending college, he visited a Pentecostal church in Sherman, TX and was baptized and filled with the Holy Ghost. After graduating with a BA in Music and being excommunicated from the church, he moved to Dallas where God led him to the greatest blessing of his life, his husband Douglas Graves. 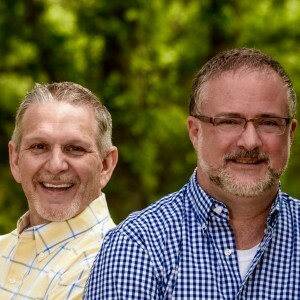 After being given the vision to uproot all they had known and move to Atlanta, GA in 2006, Jerime and Doug later discovered that God was sovereignly and powerfully intervening in their lives by connecting them with New Covenant Church of Atlanta. They entered into a season of restoration and healing, and quickly became active members. Jerime began to thrive, and started serving as one of the worship leaders in Atlanta. With spiritual lives sorted out, they were called back to Dallas, TX, to complete their mission. As Worship and Arts Pastor of New Covenant Dallas, Jerime is fulfilling the prophesies that have been given, to reach God’s people and God’s heart, uninhibited, with the Sound of Heaven – like no other that we have ever seen or heard on earth.